Lawyer graduated from the Monterrey Institute of Technology and Higher Education where he obtained his law degree in 2001. 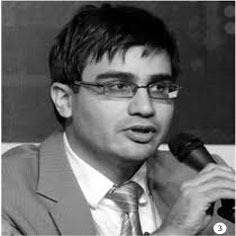 He then specialized in Intellectual Property Law at the University Panamericana in Mexico City in 2006 and the Internet Law Program taught by The Berkman Center for Internet Society ar Harvard Law School. 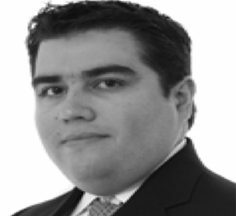 He worked as an associate lawyer at Uhthoff Gomez Vega & Uhthoff where he developed his practice in the area of patents and later in 2008 he worked as a senior associate at the Baker & McKenzie firm in the Mexico City office coordinating the national practice of patents and developing the practice of technological intelligence in Latin America. In 2011 he joined América Móvil (AMX), the third worldwide mobile operator, as head of the Intellectual Property division coordinating the operations and intellectual property activities of AMX and its various subsidiaries worldwide. 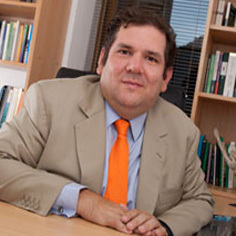 He is currently professor of Intellectual Property and Legal Business at the Monterrey Institute of Technology and Higher Education, and has lectured at the University of Akron in Ohio, USA and at different universities in Mexico as well as speaker in panels organized by the American Intellectual Property Law Association (AIPLA).